Miramont Castle, built in 1897 and mysteriously abandoned three years later, is home to many secrets. Only one person knows the truth: Adrienne Beauvier, granddaughter of the Comte de Challembelles and cousin to the man who built the castle. Clairvoyant from the time she could talk, Adrienne's visions show her the secrets of those around her. ©2015 Carrie Anne Noble (P)2014 Brilliance Audio, all rights reserved. 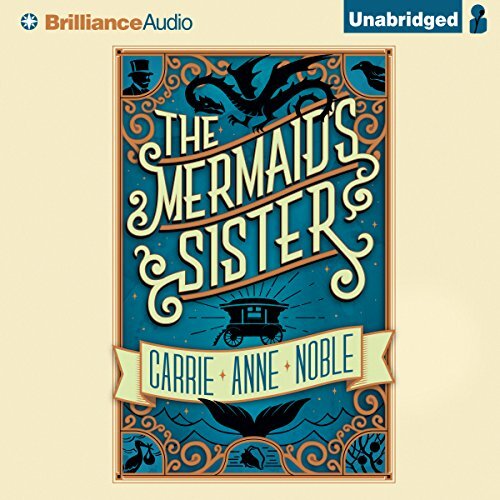 Where does The Mermaid's Sister rank among all the audiobooks you’ve listened to so far? I haven't, but I plan to change that. Kate Rudd did a remarkable job bringing this wonderful story to life! She is remarkably talented! Yes. Many, but the last part most of all. It was very touching and actually made me shed tears, which I don't normally do. I rarely leave reviews, but was so moved by the gentle power of this tale that I knew I must make an exception--to pay homage, if you will. The level of talent and dedication required to create a book like this is something I greatly admire. I only wish my words could do it justice. It is, in fact, astonishingly good. 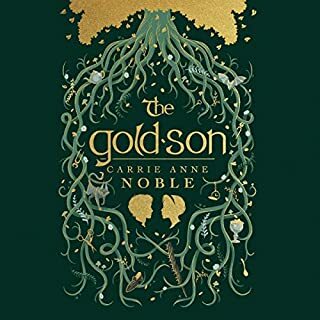 I would give it six stars if I could, and am quite grateful to Carrie Anne Noble for the sweat and tears she no doubt shed during its writing. It is a bright and charming yarn woven by a masterful storyteller into a grand tapestry, the varying landscape of which holds surprising depth. The strands making up said tapestry come together in just the right way, striking the perfect balance between light, dark, and everything in-between. This is part of the reason it feels so real. Art imitates life. Good art imitates it better. Great art imitates it so well that it becomes difficult to tell the difference. The writing itself is splendid, every word meticulously penned, and the story is undeniably magical, taking the reader through the full range of human emotions. The characters spring off the page, coming to vivid life in a way that is all too rare, possessing that intangible something which makes all true art more than the sum of its parts. I am not ashamed to admit that this book literally made me laugh and cry, and I'm a 43 year old man not given to such things. The characters feel quite genuine, with all the strengths and weaknesses of real people. Indeed, now that I've reached the end, I actually miss them. Thank you for writing this, Carrie Anne! You made my week! can I listen to this book on a road trip. It started out slow but then it got us both so involved that we never wanted to leave the car. I would recommend this book to anyone it is suspenseful and scary and made me laugh and it made me so happy. Even tho this story is made for children I decided I needed a little bit of charm in my life. This story is enjoyable to listen for adults but it is really a child's story after all. It had quite a few harrowing chapters towards the end that maybe got too dark (depending on the age of the listener). All in all, the characters were all well written and situations were well done so that I could close my eyes and feel like I was in the story myself. I would recommend this story to any age from teens to adults. I look forward to many more wonderful, magical stories from this author. 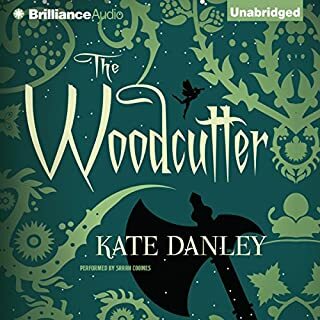 Kate Rudd is an awesome narrator whose voice is excellent. Book and Narrator home run!! I have to admit, I didn't love the characterization. I thought Clara, the heroine, was unlikable. The whole duration of the book she kept whining and moping over her unrequited love for O'Neill. One minute she would be over the moon with love for him, the next she would be hating his guts. Then the next she would be desolate again. But at least she got to console herself with the fact that she's modest and virtuous. Over and over and over again. It got pretty old pretty fast. Maren might as well not even have been in the book. She had absolutely no depth to her at all; in fact, for about half the book she doesn't even speak. She just became like a doll halfway through, with no feelings or interactions. Very disappointing. I liked O'Neill alright. I thought he wasn't very interesting or remarkable in any way, but he was just meh. It just felt so rushed to me. The conflict kept building and building, and then it just ended. I had so many questions after finishing. There was a grievous deus ex machina that left a bad taste in the mouth at the climax. There were so many loose ends that were never addressed at all. As for the supposed happy ending, I didn't feel confident about that relationship at all. There seemed to be some communication problems-- maybe because Clara is just so modest and virtuous [eye roll]. I feel like I'm in the vast minority here in not liking Kate Rudd. She had good moments (I thought she voiced men pretty well, which can be difficult for female narrators), but most of her voices made me cringe a little bit. Her Clara voice was the worst. Clara sounded mannish sixty percent of the time, so it could be confusing when I thought a man was speaking and it turned out to be Clara. Rudd also had this terrible volume problem. I listened to the book with headphones, maybe it's better when it's just car speakers or something, but there were several times when I had to hurriedly turn the volume down or up. I even had to rip the earbuds out of my ears a couple times because Rudd's voice got so loud that it hurt. Then ten seconds later I wouldn't be able to hear her at all. That's a MAJOR problem for an audiobook. I have listened to many, many audiobooks, and this had the worst volume control by far. Do you think The Mermaid's Sister needs a follow-up book? Why or why not? No. Though I was left dissatisfied with the ending, I think this tale is as wrapped up as it's ever going to be. I heard that this book was written by Carrie Anne Noble for NaNoWriMo, and later self-published. Though this shows in the unpolished nature of the storyline, I think it's a remarkably good book for having been written in a month. It had so much potential, and I would definitely consider checking Noble's books out in the future. I waited way too long before I finally gave this book a chance. The description does not and can not do it justice! Such a well put together story of magic, set in an historical, but everyday setting with characters that come alive. Some you want to punch, others you want to hug. The narration was perfect. Every voice was believable and the inflections brought life and emotions to the surface. This is a fast pace and heartwarming book. I ended it with a smile on my face. I may have listened to it straight through.... All in one day. So good. Just Barely Okay . . . It IS written in the style and cadence of a fairy tale, but with the sexual suggestiveness (by the kidnapper in particular) this story seems to be aimed at an older audience which may not appreciate the style well enough to continue reading. Other reviewers have mentioned the whining and unnecessary repetition by the main character and I was put off by the sense of entitlement and vanity of the mermaid sister - which everyone in the story seemed to find charming. So, in my opinion, there are no positive lessons for preteens, it is too juvenile for teens and too adult for younger children. Also, the story could have been told in less than half the time and would probably have been more entertaining. Could have been much improved by a more ruthless editor. A fairytale for young and old. A great tale to share with older grandchildren. Some adventure and alittle romance. I like the female hero motivated by love. I enjoyed the story and loved the narrator. I was almost worried there wouldn't be a happy ending. But it was. This tale kept us entertained during a very long drive. Loved the way the reader changed her voice for each character. I listened to the audible book. I'm not sure if it was meant to be a children's book or not. It seemed like a fairy tale. It was different. I will say that the narrator had a lisp that drove me crazy throughout the book. Beautifully told by Kate Rudd, this is an enchanting fairytale that once I started, I didn't want to stop.